e filings. She juxtaposed Burlington’s numbers with four other larger metro areas that had had major foreclosure increases lumping these areas together in a manner that suggested something more dire. Further, last week, Vermont Public Radio (VPR) interviewed a Statistics Professor, Vince Bolduc, from Saint Michael’s College in Colchester VT on how perverted the Vermont statistics are given that we have such a small population base. Actual numbers of foreclosures in the Burlington metro market per month have risen from 10 per month up to 12 per month. These numbers are hardly anything to be alarmed about. In addition, RealtyTrac reported that 1 in every 357 households nation-wide received a foreclosure filing in August 2009. Vermont’s foreclosure filing rate was 1 in every 9,437 in that same month. However, in July 2009, it was 1 in every 28,312 a 200 percent change from July and an 83.3 percent change from August 2008. When these statistics are examined more closely, we can see the percentages may be startling but the actual numbers are not. We all know our economy is hurting and hurting badly in specific areas across our country. We need reporting accuracy, not hyperbole and a steady hand on the tiller combined with our resourcefulness and resiliency. 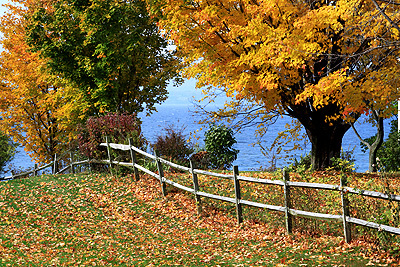 Vermont has so far weathered this economic storm admirably. 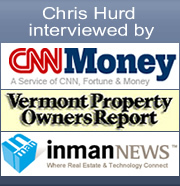 As always, please feel free to place your comments at Hurd’s The Word or go to my website at Burlington Vermont Real Estate.